There are many learning opportunities available for students with regard to classroom pets. In most cases, the pets chosen for classroom learning opportunities include small rodents, fish and reptiles. Larger animals aren’t often practical for classroom situations. If you aren’t sure which type of pet would be best for your classroom this year, speak with a veterinarian in South Coast, such as the team at Anchor Animal Hospital in Dartmouth. They can even help you get started on learning the basics for Guinea pig care and feeding, give tips of temperature control for reptiles or suggest veterinary care regiments for other types of pocket pets. It is important to carefully consider which pets you will introduce to the classroom. Your choice should be made on your level of experience with the animal, as there are specific requirements for keeping small rodents as pets or providing winter care for reptiles. Your veterinarian in South Coast can help you decide, but you should also consider the age of the children in your classroom, the space in which you have to keep the animal, whether or not you want the children to hold and interact with the animal, as well as the cost for properly caring for the classroom pet. 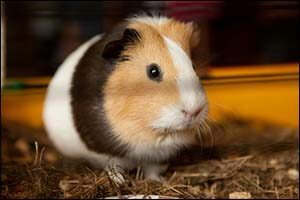 Guinea pigs are a popular classroom pet because they don’t require as much care as other pets. They are bigger than a gerbil or a hamster, which means they are easier to handle and are more entertaining and engaging to elementary school children. Guinea pig care and feeding should include enough space to run around, plus fresh fruits and vegetables in addition to the standard Guinea pig kibble. Rabbits are another great choice, as they do tolerate being held by children quite well. Their care is also quite minimal compared to other animals. Timothy hay and other grasses are a great addition to their diet, as well as fresh veggies, greens and high quality rabbit food. Speak with a veterinarian in South Coast about spaying and neutering classroom pets to prevent unwanted behavior. Rats are very smart and are less likely to bite than mice, hamsters and other small mammals. A sturdy habitat is required, made from metal, plastic or glass, featuring a solid bottom and secure locking hinges to prevent escapes, as these rodents are excellent escape artists. Quality dry food and water should be provided, as well as a variety of fruits and veggies, including kale, grapes, broccoli, bananas and more. Fish are a simple, easy-to-care-for pet that you can easily introduce into the classroom. Just make sure that the top of the tank is high enough that children can’t toss things inside. Cold-water fish are recommended more than trying to keep a warm-water tank running year-round in New England. Which Pets Should Be Avoided? As the teacher, any pet that you feel uncomfortable handling, caring for or cleaning their enclosure should be avoided. Do some research before bringing any pet into the classroom regarding allergies, care and feeding, habitat requirements, temperature requirements, as well as any diseases that can be transferred from the pet to people. Seek the advice of your veterinarian in South Coast and bring the pet in for a check-up to rule out any possible issues that could affect your classroom. Tips on winter care for reptiles, Guinea pig care and feeding, as well as tips on setting up a fish tank or keeping small rodents as pets, can be received from your local veterinary clinic. Snakes & Reptiles – The care, knowledge, feeding and other requirements make keeping reptiles in the classroom in Massachusetts a bad idea. Unless you are highly experienced in keeping a specific type of reptile and can provide everything it needs while keeping both the children and the animal safe, you should avoid them at all costs. Birds – Many children suffer from allergies to the dander that birds put out, making them unsuitable for most classrooms. Plus, the noise and the mess that goes along with birds can be a distraction to learning. Birds are very likely to bite, especially if they are being handled too much, and the bird could suffer and become sick if they are too irritated by typical classroom noises and movements. Ferrets – These popular exotic pets can be quite aggressive, even if they are mostly docile and friendly. They have a strong odor and have a tendency to bite if they feel the least bit threatened. They can be expensive to care for and require a lot of attention. Chinchillas – Because they are mostly nocturnal and do not like to be handled, chinchillas are not a good choice for classroom pets. They require strict temperature control and need a large roaming area. They are sensitive to noise and stress, so it is not recommended that you even bring a chinchilla into a classroom setting for a visit. If you are considering adopting a classroom pet this year, contact your local veterinarian in South Coast by calling 508-996-3731. Whether you need tips on winter care for reptiles, Guinea pig care and feeding, or need check-ups for small rodents as pets, our team can help steer you in the right direction. Call today to schedule an appointment or to speak with one of our highly trained and experienced team members.